← EnRoute to a whole wide world of deliciousness! 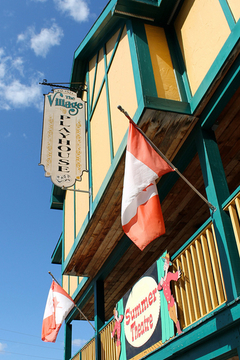 The Village Playhouse in Downtown Bancroft is the place to see awesome live performances. We’re big theatre fans around here, which is part of the reason why we are proud to be long-time sponsors of summer theatre in Bancroft. In fact, we’ve been season sponsors for 19 years in a row! (You can see our display in the lobby of the theatre.) There’s nothing like getting wrapped up in a story, performed right in front of you, surrounded by the energy and enthusiasm of a live audience. Stop by the Village Playhouse to see top notch live theatre, and check out our lobby display while you’re there! 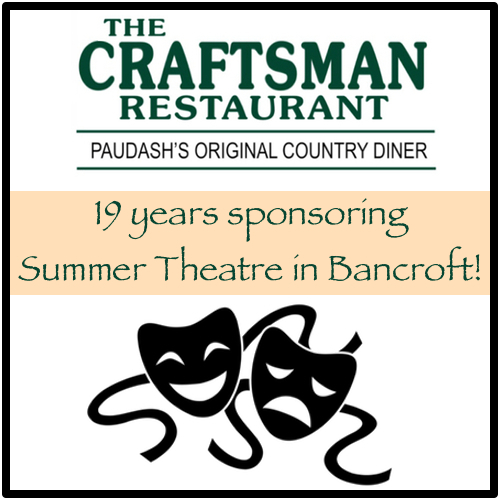 We love Bancroft’s summer theatre, which is part of the reason we’ve been sponsors for 19 consecutive years! There are just 5 more performances of this upbeat comedy, but don’t worry, you can still get tickets for just $22 by stopping by the Playhouse’s box office, or calling 1-877-322-4682. You can even make a night of it and come by The Craftsman for dinner before the show, which starts at 8pm. Don’t miss this great line up of live performances presented by Bancroft Summer Theatre! 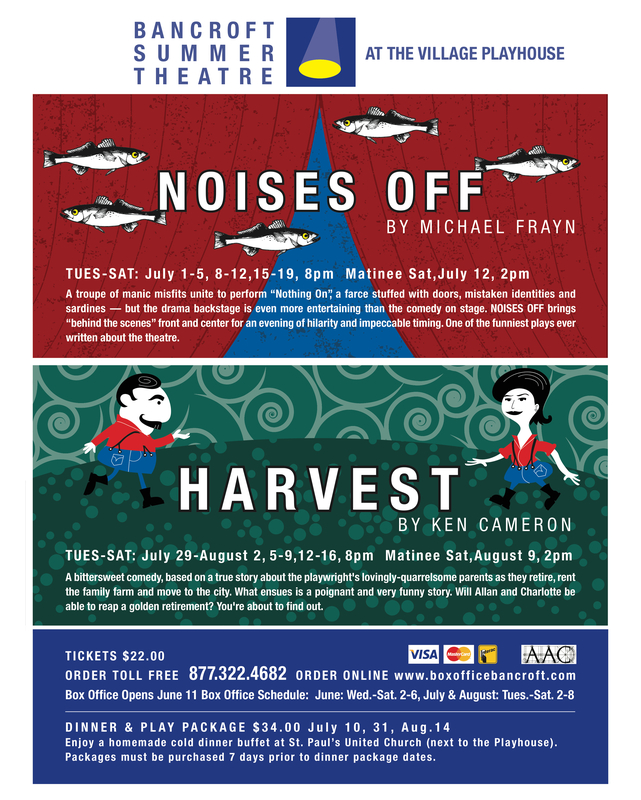 Harvest runs Tues-Sat nights, July 29 – Aug 2, 5 – 9, 12 – 16 at 8 p.m., with a special matinee on Sat. Aug 9 at 2 p.m. You can keep up with Bancroft Summer Theatre by liking them on Facebook. Click here to visit their Facebook page. Don’t miss this opportunity to enjoy the beautiful historic Village Playhouse, and the amazing talent that one can only find in Ontario’s Most Talented Town. See you at the Playhouse!